Specially designed to cater for the cleaning of flexible, circular air conduits, circular and square air ducts. 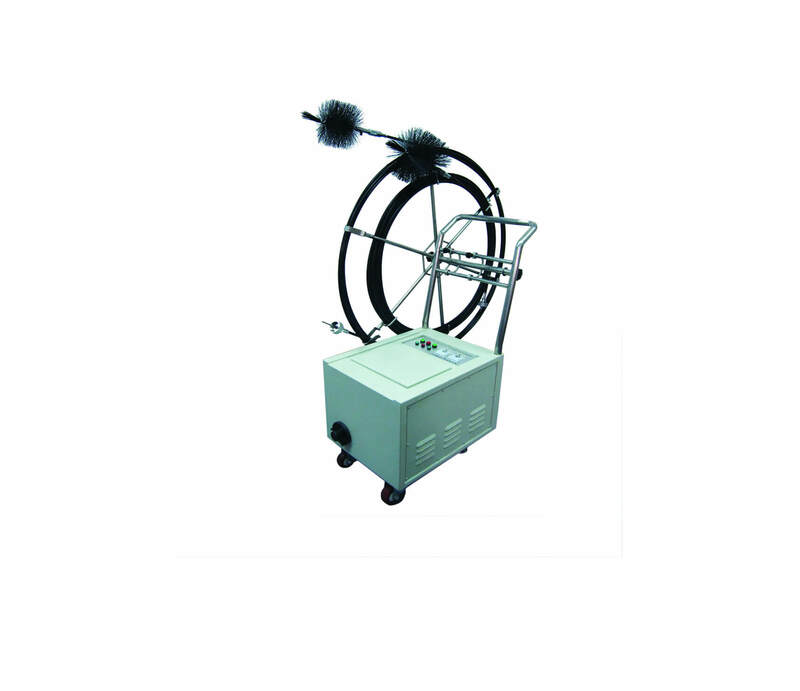 Custom made high power flexible shaft air duct cleaning machine with brushes of various sizes will be the ideal solution for the cleaning of these irregular air ducts. A provision has been made at the front end of the flexible shaft whereby a high power vacuum dust collector can be connected to extract dust while the flexible shaft is in motion (by way of direct dust absorption method). Operating Range: Standard length 15 meter (provided with flexible shaft or semi-rigid shaft); length can be adjusted reasonably (+/-) if required. Cleaning Mode: Shaft automatically rotating to the right or to the left (to be decided by customer at time of placing order). Rotation Speed of Shaft: 850 rpm. Cleaning Method: Raised dust suction method or direct dust suction method (Tornado cleaning system, maximum negative pressure up to 20,000 pa).